If you see this vehicle or witness an incident involving a speeding or suspicious vehicle, you are strongly encouraged to report it to Ottawa Police Services. The Ottawa Police do investigate ALL reports including speeding vehicles. A report can only be made by the individual who witnessed the incident – the CGYHA Executive cannot submit a report on behalf of anyone. 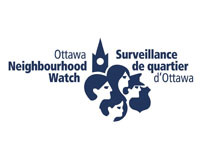 The number to call is (613) 236-1222 ext.7300 (to report a theft, missing person, speeding vehicles) OR to file an online report with the Ottawa Police Service click here. The Homeowners’ Association requests that residents, visitors and contractors entering the community respect the posted speed limit which is 40 km/h. Slowing down saves lives.